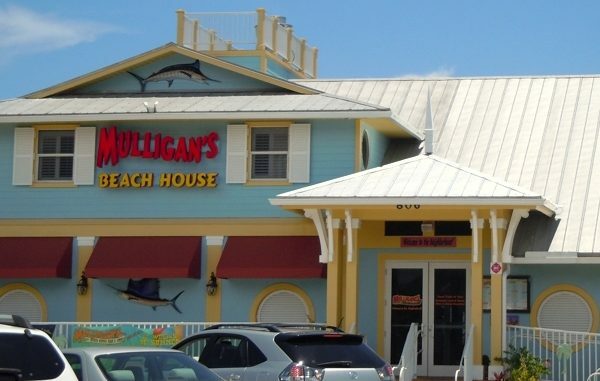 Mulligan's Beach House health inspection rating in Sebastian, Florida. SEBASTIAN – The Mulligan’s Beach House Bar & Grill in Sebastian received an excellent health inspection rating late week, according to state records. Mulligan’s Beach House, located at 806 Indian River Drive, had no High Priority violations. However, they had one Basic Priority violation. “Cove molding at floor/wall juncture broken/missing.- to right at entrance to kitchen,” the health inspector wrote in their notes. They were given a warning. With only a single Basic Priority violation, Mulligan’s is considered to be one of the cleanest restaurants in Sebastian, according to the health department’s report. Mulligan’s Beach House offers a Happy Hour, and Thursday’s are Family Night where kids eat free 5 p.m. to 8 p.m. (restrictions apply). 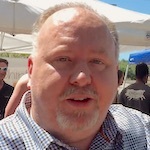 Mulligan’s Beach House provides indoor and outdoor seating.